I thought I’d make a place to put some pictures of a few of our LEGO creations, but I didn’t want it interrupting the doodle blog. 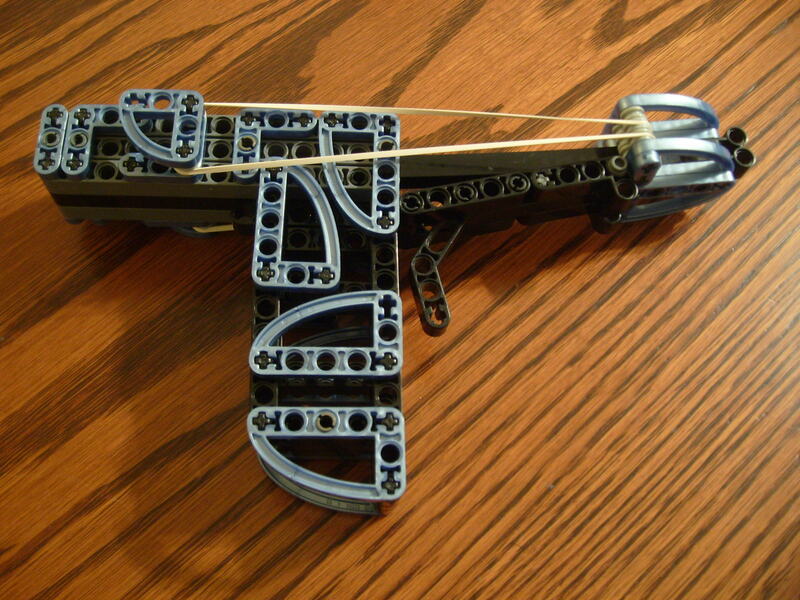 Version 1: This was based off a wooden catapult that my dad helped me build in Cub Scouts. My boys loved playing with that one and had lots of fun shooting acorns, but it eventually started coming apart. 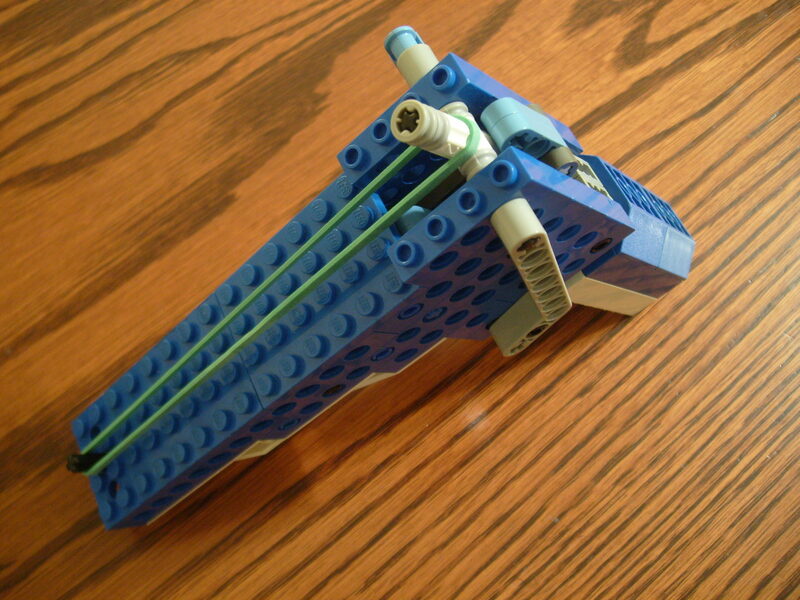 I thought I could make something similar with LEGO’s thus this was born. 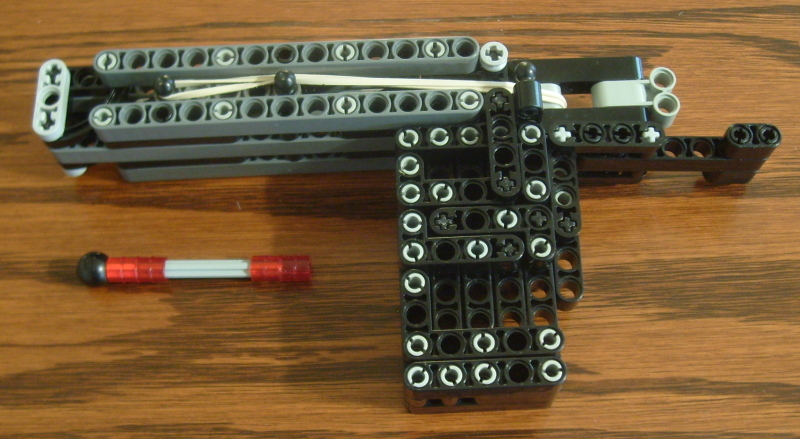 The final version went through several rounds of bracing to keep it from destroying itself. Version 2: This design I wanted to try for a more traditional catapult without having one that slams into an upright support. This one ended up being very simple, needed very little bracing, and is fun to play with because it always does this little hop when it fires. 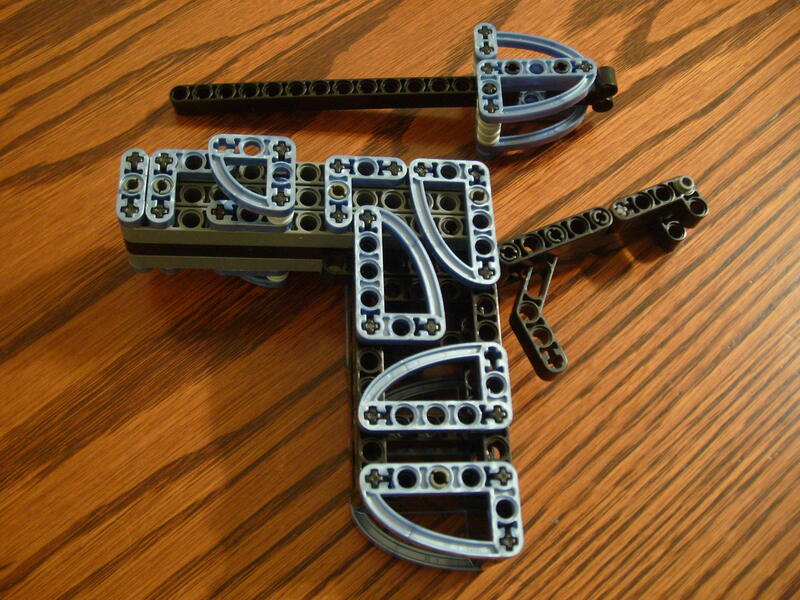 Handgun: This little guy was a result of trying to build a compact ballista. 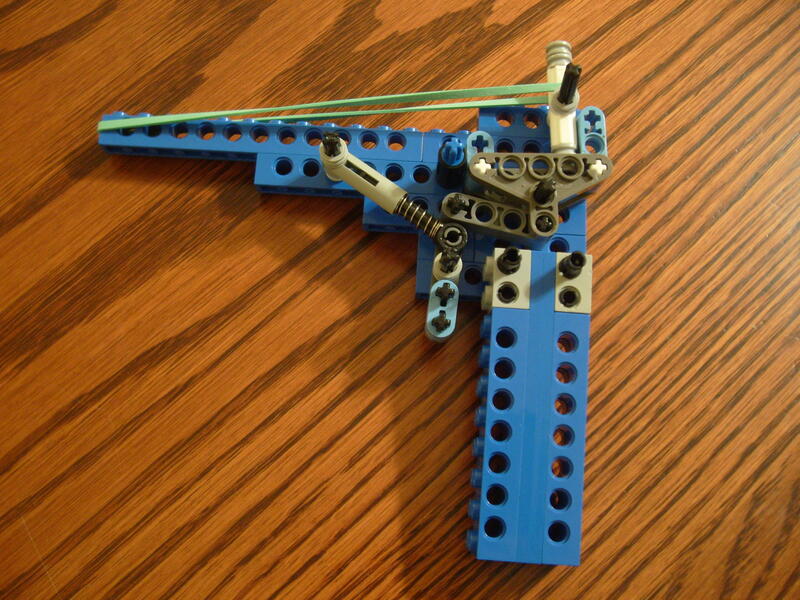 It’s the farthest shooting thing I ever made, though the ammunition choices are much more restricted then my catapults. The catch I use to hold the rubber bands on either side of the barrel can be moved to 3 different positions allowing for 5 different tension settings. It gets a little crazy when we put on multiple rubber bands. Handgun Mark II: This varies little from the first gun though I was able to use longer pieces and reinforce it a little better. Overall, the increase in length didn’t give it enough of a power increase to be worth all the extra bulk. 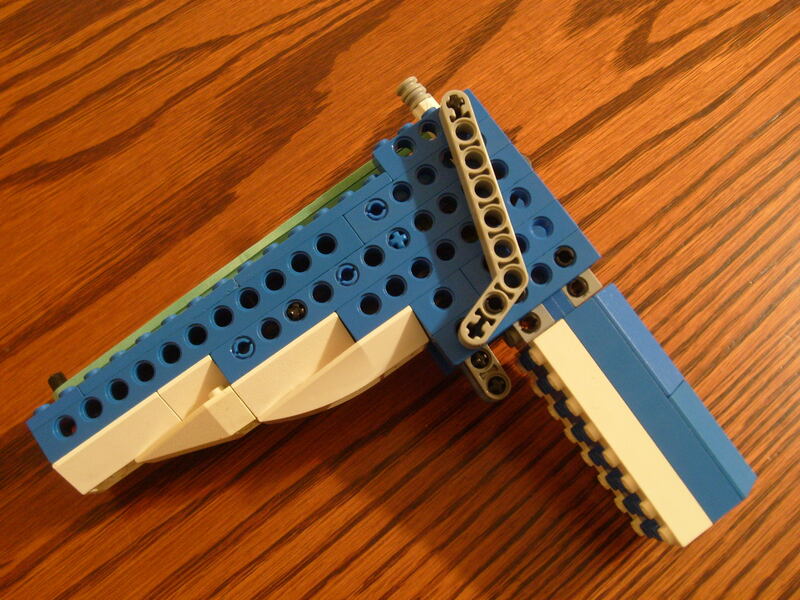 Handgun Mark III: This gun I tried to make the barrel completely out of solid pieces, thinking that it would cut down on the slight catching that happens with my other guns when they fire. The only problem is that the added friction makes it less effective in the long run. 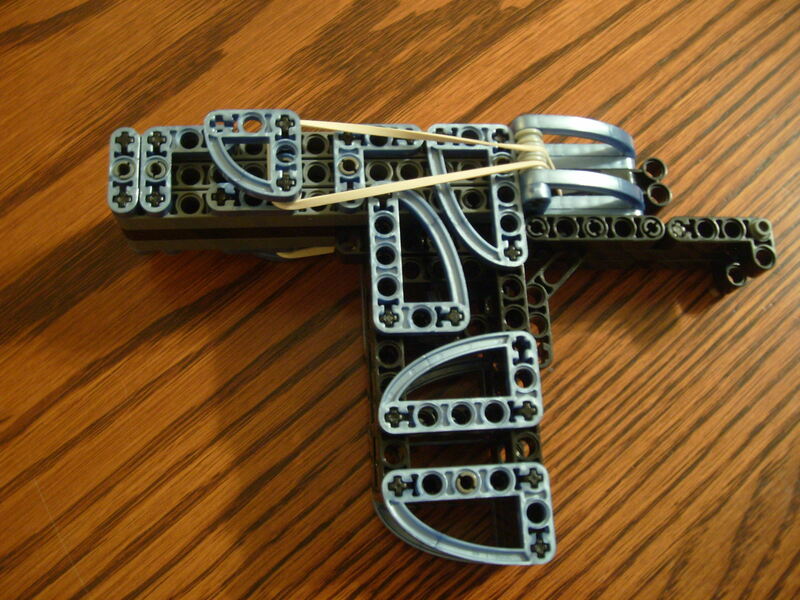 Rubber Band Gun: This was my first attempt at a semi-automatic rubber band gun.